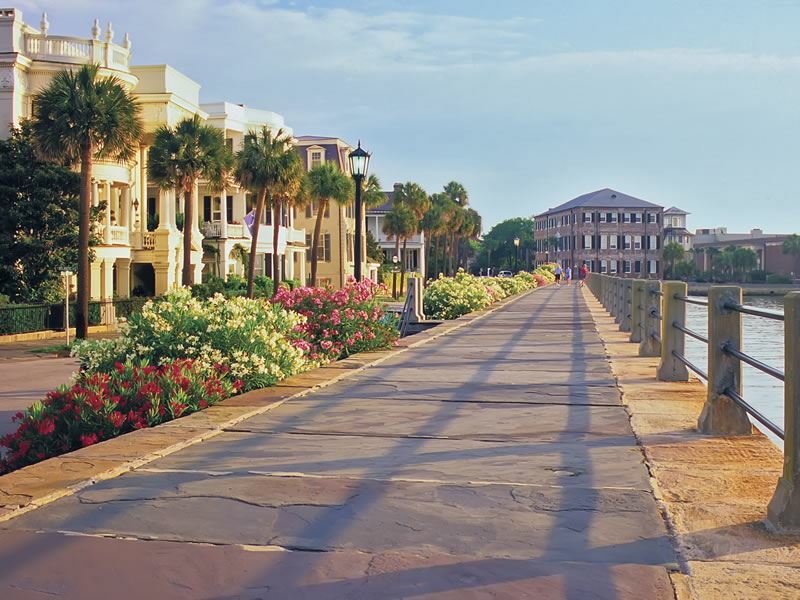 One of the most charming cities in the South, few leave after a visit to Charleston, South Carolina without having fallen head over heels. Renowned for its cobbled streets lined with grand mansions, ancient oak trees dripping with Spanish moss and laid-back sandy beaches, it also hosts an impressive foodie scene with practically endless culinary hotspots serving mouthwatering Low Country cuisine. With so much to see and do, for some of the best of the best be sure to put at least a few of these options on your itinerary. 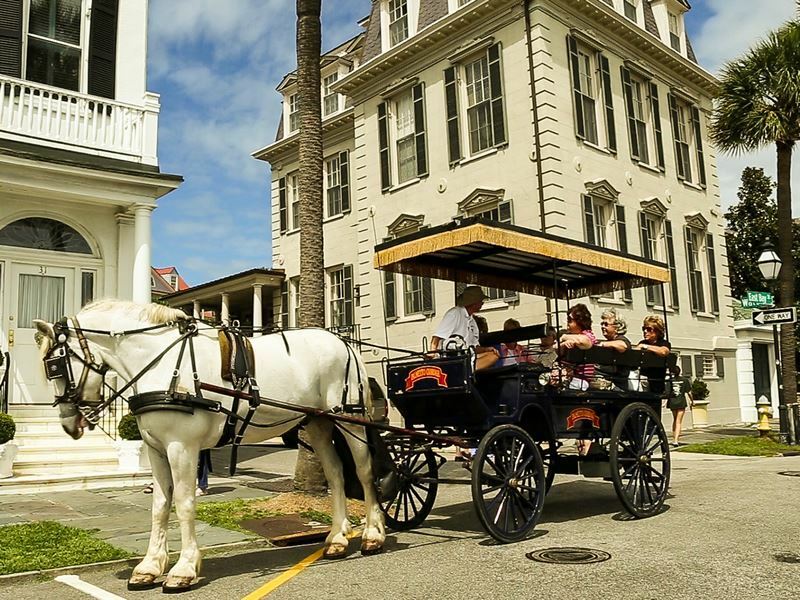 What: Touring the historic cobblestone streets in a horse-drawn carriage is a must for anyone who visits Charleston. Palmetto Carriage Works is the longest-running carriage tour company bringing visitors through as many as 30 blocks of the historic downtown district via multiple different routes. Each is like a step back in time, gazing at the Antebellum elegance and style as well as some of the most iconic moments in America’s history as you clip-clop through town. You’ll be in awe of the impressive homes that survived the American Revolution and the Civil War and convey the true Southern spirt Charleston is known for. Highlights: A private, personalized tour will bring you through the city and its mansions, gardens and parks in a more intimate setting with your own personal tour guide. It includes the option for a stylish ride to the eatery of your choice, seeing the many highlights while learning about the landmark buildings and architecture, people and flora through an expert, insider guide for a fascinating and entertaining journey into the past. 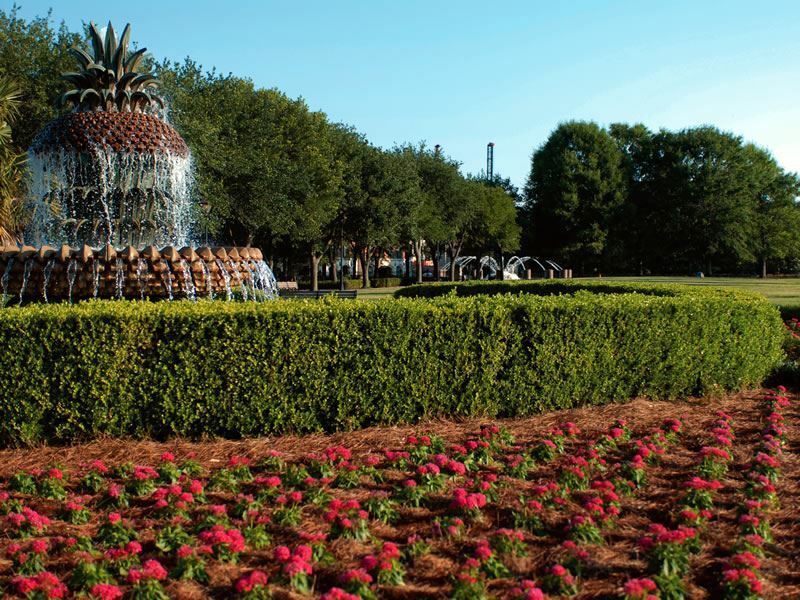 What: The city’s many parks showcase the unique beauty of the Lowcountry. From the moss-draped, ancient live oaks in Whitepoint Gardens at Battery Park with its awe-inspiring views of Fort Sumter and the Charleston Harbour to serene James Island County Park where you can paddle waterways in a kayak, watching for birds and even alligators along the way, you won’t have to venture far to take advantage of Charleston’s beautiful green spaces. Highlights: Joe Riley Waterfront Park, centrally located near The Market, is one of the region’s most-visited parks, providing picturesque views of the harbour with vast grassy areas for picnicking, park benches for unwinding and walkways for strolling. After dark, the park’s fountains are illuminated, creating a breathtaking scene along the waterfront. What: Charleston boasts a thriving art scene, with creativity imbedded in its culture. There’s no shortage of galleries here, with the city’s beauty long-inspiring artists while beckoning art enthusiasts to visit. 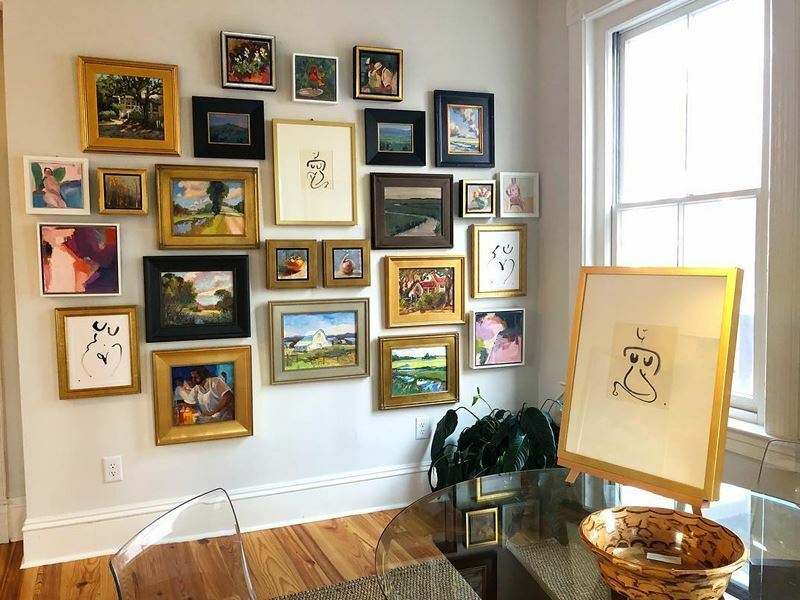 Whether you want to browse or bring home a piece of Southern charm, you’ll discover a diverse collection of pieces created by both regionally and internationally acclaimed artists. As most of the art galleries are located close together on what’s known as “Gallery Row” on Broad Street, as well as in the enticing French Quarter neighborhood, you’ll find it easy to indulge your passion for art here. Historic Broad Street is arguably the top spot for finding a unique treasure from the Lowcountry, with everything from oil, watercolor and acrylic paintings to sculptures, pottery, glass, photography and more. Highlights: The Meyer Vogl Gallery is a favourite, located in the French Quarter. A contemporary, fine art gallery, it brings together some of the city’s most imaginative, abstract artists. It showcases paintings by Laurie Meyer, known for her rich colors with broad ‘brushy’ strokes and Marissa Vogl, famous for her use of thick paint and bold brushstrokes that bring emotional vitality to her works, along with pieces exhibited by nationally-known guest artists. What: Famous not only for its food, but its drink, Charleston takes the art of preparing handcrafted brews and spirits to a whole new level. With so many options here, the best way to explore them is to take a tour, signing up to be chauffeured from one brewery, distillery, and winery to the next, sampling as you go. No matter what your tastes, Crafted Charleston Tours offers a variety of options, including brewery tours that begin with a tour of a distillery followed by two different breweries, learning firsthand why the phrase “liquor before beer, you’re in the clear!” is good advice to follow. You’ll sip local, small batch spirits as well as craft beers while being driven around in a party bus or luxury vehicle. 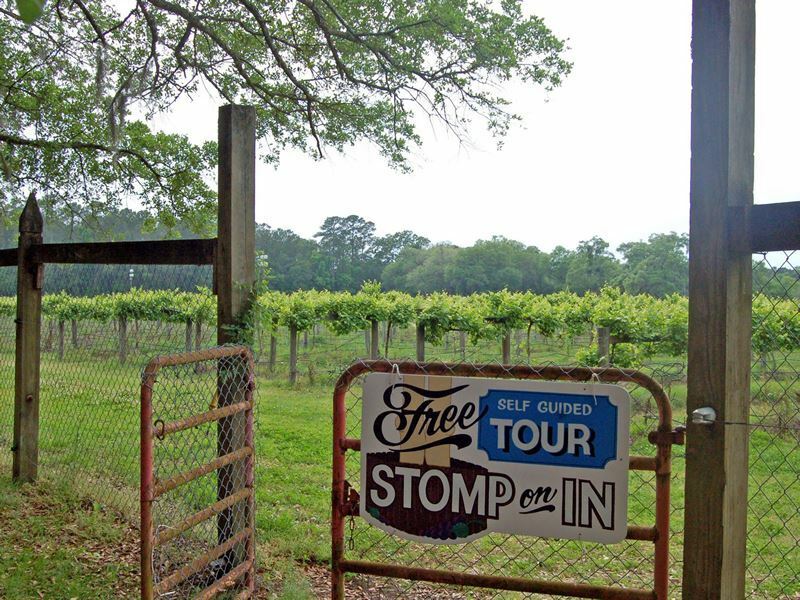 Wine lovers will appreciate the winery tour that focuses not only on fine vino and wineries, but a tour of a distillery and the chance to sample local seasonal craft beer while transported by your own personal guide, sipping your way through Wadmalaw Island in a lavish limo. Highlight: Deep Water Vineyard on Wadmalaw Island offers the total experience. The vineyard hosts a winery as well as the Firefly distillery, a beautiful garden, pond, walking trails and a gift shop with enough to do to fill an afternoon or even an entire day. What: The Barrier island beaches offer a fun way to escape the city and enjoy a day of adventure or relaxation on gorgeous stretches of sand as well as out on the Atlantic waters. Each beach is a barrier island, thin slivers of stunning sands that offer something unique with their own distinct cultural and ecological differences. 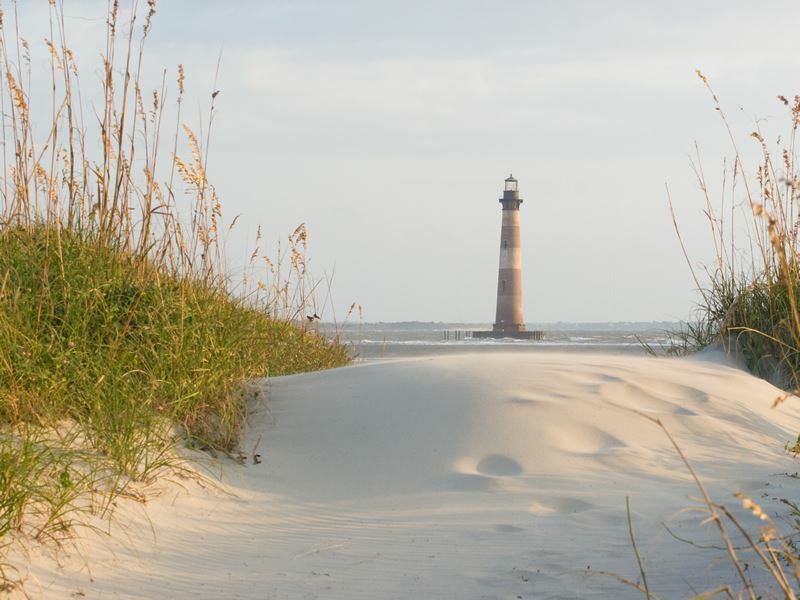 While you’ll have many destinations to choose from, there are five especially fabulous, sun-drenched beaches that are just a short drive from the city, including Folly Beach, Isle of Palms, Kiawah Beachwalker Park, Sullivan’s Island and Bull Island. Highlights: Folly Beach is the closest to Charleston and provides a family-friendly, laid-back beach atmosphere that serves as a mecca for bohemians, beachcombers and surfers who head to “The Washout” stretch of coastline, famous as the spot that boasts the area’s best waves. It’s a great place to learn to surf or to watch the experts, with everything from graceful beauty to heart-pounding action. Other activities include sandcastle building, sunset watching, exploring a maritime forest, bike riding, fishing, parasailing, kayaking and paddle boarding. In between, you’ll find a lots of souvenir shops to browse or buy as well as a wide range of restaurants for fueling up, along with bars and venues that host live music. 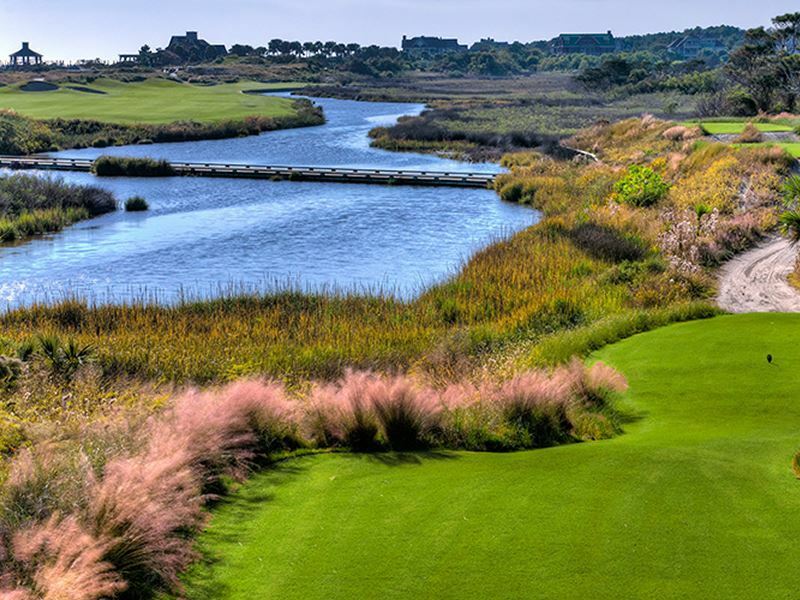 What: Kiawah Island Resort is the ultimate golfers’ paradise with 90 holes of golf across five courses: The Ocean Course, Turtle Point, Osprey Point, Cougar Point and Oak Point. The property has been named among the ‘25 Top Golf Resorts in the World’ by LINKS magazine, with its award-winning courses designed by Jack Nicklaus, Pete Dye, Tom Fazio, Gary Player and Clyde Johnston. The resort hosts a variety of other activities as well, including tennis, swimming, fitness classes and more. If you want to take a walking tour, that can be arranged too, like the Alligator Adventure where you’ll be led to some of the top alligator hangouts, observing and learning about them in their natural habitat. Back Island Birding brings the chance for avid birders to spot dozens of bird species in remote island habitats, from colourful hummingbirds and majestic birds of prey. Highlights: The Ocean Course has hosted many of the world’s major golf tournaments, with all major golf publications ranking it among the best on the planet. Designed by golf legend Pete Dye, it sits at the easternmost end of the island and boasts more seaside holes than any other course in the Northern Hemisphere with 10 right along the Atlantic and another eight that run parallel to those. As the wind varyies in direction and strength, it’s almost never played the same way twice. What: Charleston is often ranked among America’s top foodie destinations with many outstanding restaurants serving Lowcountry cuisine and all sorts of delights to please a variety of tastes. R. Kitchen offers fine dining in a more casual, dinner party atmosphere serving a nightly-changing five-course menu based on fresh, seasonal ingredients, while The Ordinary, set within a 1920s bank, and upscale FIG, AKA Food is Good, are two favorites popular for their seafood-focused menus and trendy interiors. Magnolia’s and Husk are highly-praised by locals and visitors alike for their contemporary Southern menus. Dine on dishes like buttermilk fried chicken breast and pulled pork with mac ‘n’ cheese at the former, and farm-to-table fare at the latter, such as Sassafras Glazed Pork Ribs with Pickled Peaches and Rev Taylor Butter Beans. Highlights: Halls Chophouse is often named among the very best in Charleston fine dining, a popular spot for a romantic night out where you’ll be personally welcomed through the door by the proprietor. The menu not only includes some of the finest and freshest steaks, but seafood, pasta and chicken. 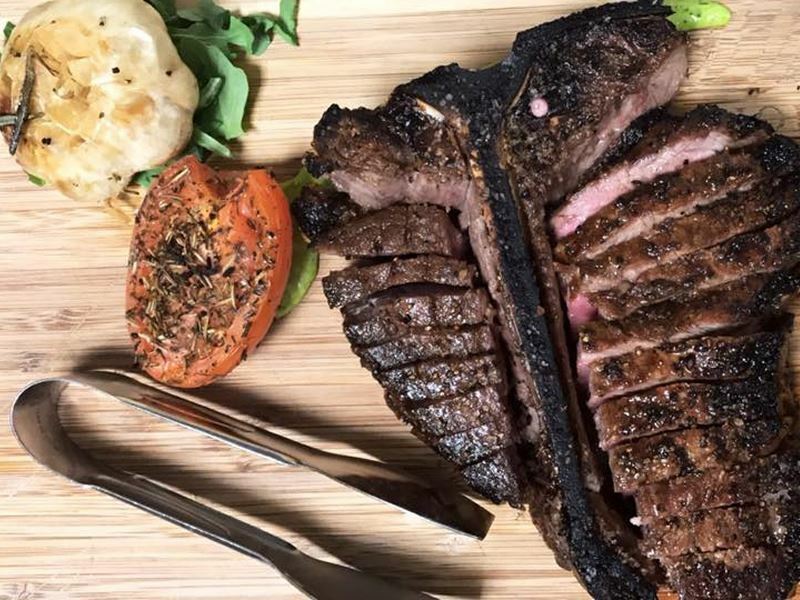 Slow-roasted, 16-ounce prime rib steak is its signature dish, but no matter what your pick (vegans and vegetarians will find options too), it’s sure to be delectable, all served to a background of live piano music. If you happen to be here on a Sunday, be sure to drop by and enjoy the ‘Gospel Sunday Brunch’ which features the usual breakfast dishes like steak and eggs, taken up a notch, along with soulful live music. What: Charleston’s quaint streets that date back to the 17th-century were made for exploring on foot, with a historical walking tour providing the opportunity to stroll the cobblestone alleyways, admiring churches and centuries-old mansions while learning about the history of the city’s most iconic landmarks. A leisurely walk will bring you to places like the famous Antebellum mansions, hidden gardens and courtyards, the historic Waterfront Battery and Rainbow Row, a series of 13 colourful historic homes that represents the country’s longest cluster of Georgian row houses, a s well as Revolutionary and Civil War sites like Fort Sumter. Bulldog Tours offers some unique tours to choose from, including a range of foodie tours and a variety of ghost tours. You’ll get exclusive access to many of the most haunted and infamous sites in the city, including the chance to walk through the gates of one of its oldest graveyards after dark. Highlights: The ‘Savor the Flavors’ Tour is a must among foodies, where you’ll walk and taste your way through Charleston while learning about the culture and history of the Low Country. Guides reveal how the unique fare in the area has evolved over the past three centuries while you sample all sorts of tasty specialties like stone ground grits, fried green tomatoes and Low Country BBQ from culinary landmarks, restaurants, bakeries and markets. 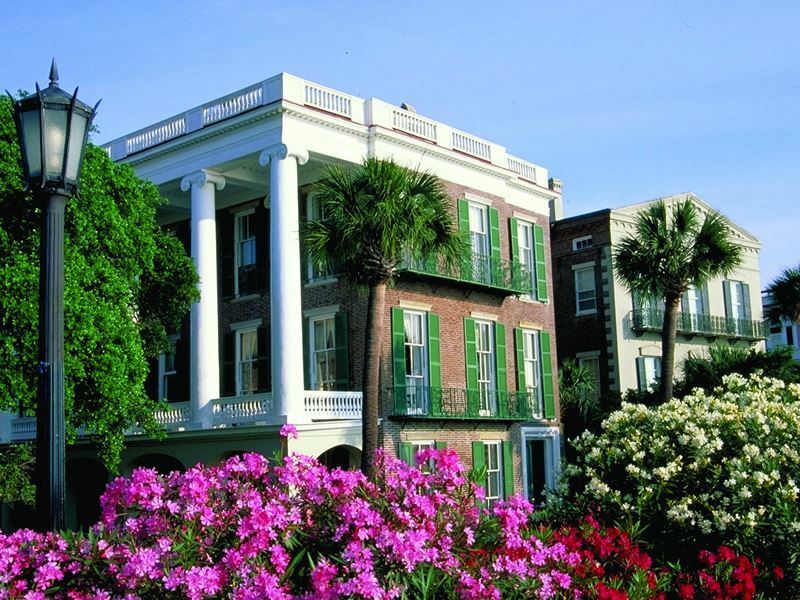 What: Just minutes from downtown Charleston and you wander through impeccably-preserved plantations and gorgeous gardens, losing yourself among the blooming azaleas, moss-covered oak trees and the ancestral homes of some of the city’s oldest families for a journey back in time. Each plantation offers something unique with a variety of historical features, types of tours and facilities. There are countless options, like Charles Towne Landing State Historic Site where you can see where the first permanent British settlers built their home in the Carolinas back in 1670; Middleton Place Plantation, a National Historic Landmark and one of the oldest landscaped gardens in America which features ruins from buildings burned in the Civil War; and, the Low Country’s oldest public tourist site, Magnolia Plantation & Gardens, named one of “America’s Most Beautiful Gardens” by Travel + Leisure. Opened in 1870, it’s filled with thousands of flowers and plants, including one of the most extensive collections of camellias and azaleas in the nation. 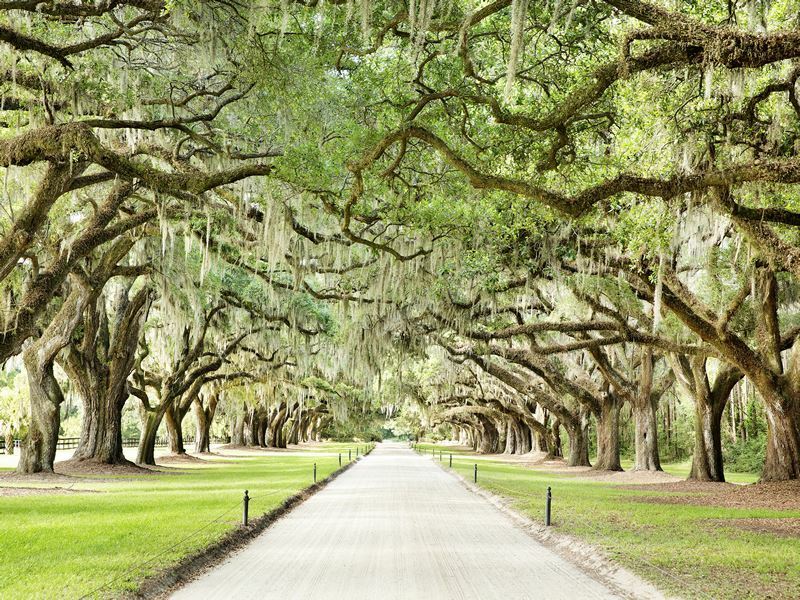 Highlights: Boone Hall Plantation is a must-experience that will welcome you in with its iconic avenue of ancient live oaks, planted in 1743 to showcase the prosperity of the Boone family. There are 730 acres of gardens, ponds, creeks and wetlands as well as a plantation home, built in 1936 on the site of the original home. Visitors can also explore nine original slave cabins, some of only a few that still stand in the region, and listen to traditional African tales from a Gullah storyteller. What: A long list of outdoor adventures awaits on the coast, allowing visitors to experience some of the best of the area’s coastal scenery and pristine waters while watching for wildlife and enjoying everything from history and gentle active pursuits to more heart-racing thrills. Coastal Outdoor Adventures, recommended by National Geographic, provides kayaking, fishing, paddleboarding and a variety of boat tours for cruising through the maze of waterways catching glimpses of turtles, dolphins, wading birds and more along the way. 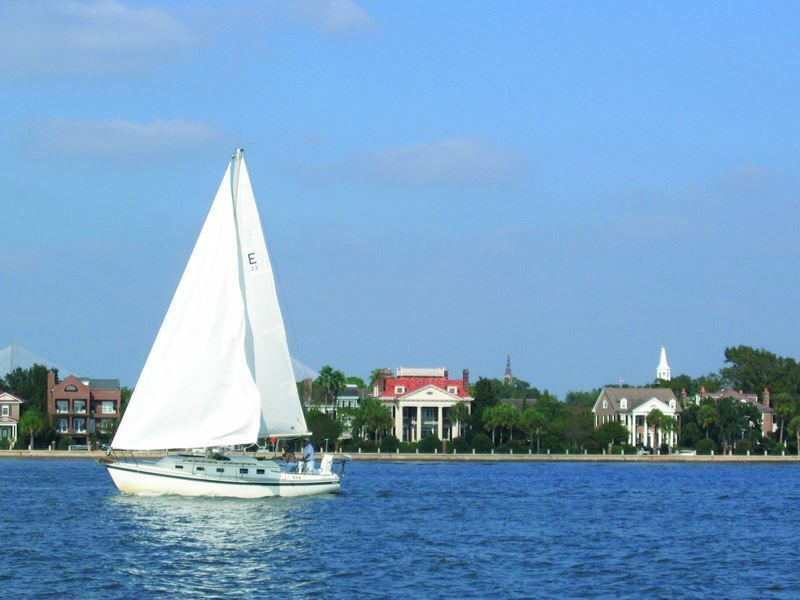 Highlights: The Dolphin Eco-Tour will bring you by boat into heart of the waters that surround Charleston, home to over 300 wild dolphins that inhabit the area year-round. As you watch these incredibly intelligent animals play and feed, your captain will fill you in on interesting dolphin facts as well as information about the local history, natural ecosystems and wildlife.